Reducing the amount of animal products we eat and replacing them with more plant-based foods: this is heralded as the best way to reduce our dietary impact on the planet. 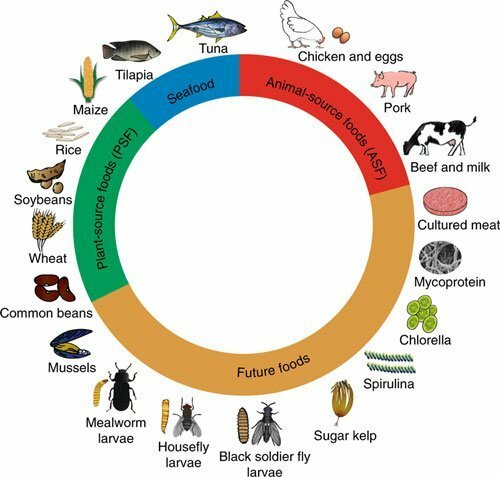 But a new study goes a step further, to show that eating an array of rapidly emerging, alternative ‘future foods’–including lab-grown meat, seaweed, and insect protein–would not only do more to protect the planet, but would actually provide us with more and better nutrients than switching to an exclusively plant-based diet. In the Nature Sustainability paper, the researchers measured the nutritional and environmental profiles of nine ‘future food’ products and compared them to animal-based and plant-based diets. These nine foods were cultured/lab-grown meat, protein made from fungi, the larvae of two fly species, larvae from mealworms, two types of algae, kelp, and mussels. 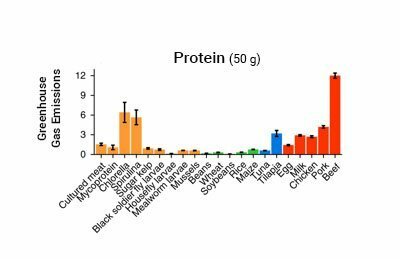 They found that all these foods–except kelp–produced the same amount or more protein than either animal-based foods, or plant-based diets. Most of these foods would also provide more of several crucial nutrients like vitamin B12, zinc, and vitamin A. For instance, some types of algae had 20 times more vitamin A than eggs, which is the richest animal-derived source of this nutrient. Compared to this, plant-only diets tended to be deficient in nutrients like vitamin B12 and omega fatty acids, among other things. Future foods also scored high on environmental savings, either requiring roughly the same amount or less land than plant-based diets–and significantly less land than animal-based diets. Compared to animals, foods like algae, insects, and lab-grown meat don’t require the land-intensive feed production that’s needed to provide for cattle, poultry, and pigs. Future foods also produced much less in the way of greenhouse gases than animal-based diets, the study found. That’s not to say their impact is negligible. For instance, rearing industrial quantities of insects–one of the fastest-growing alternative protein sources–does actively produce emissions just like any other type of livestock. (However, insects still produce much less than cattle, pigs, chickens, and sheep, and they produce greater quantities of protein per area.) But, the greatest share of greenhouse gas emissions from this sector would come from the fossil fuel energy that’s required to produce these foods–whether it’s for maintaining temperatures for fungus and algae to grow, or transporting processed goods. However, the researchers believe that compared to other types of diets, future foods present the greatest potential for climate mitigation. For example, much of the greenhouse gas impact of these foods could be erased by using renewable energy from the get-go. 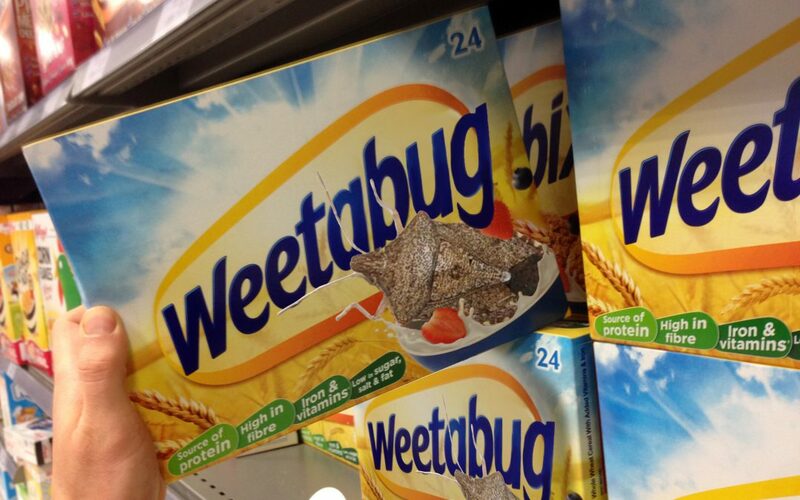 Another way of saving energy and land is to rear insects and other future foods on a diet of waste–which is itself a source of greenhouse gas emissions. Opting to farm algae on marginal bits of land could also produce much more protein per area than, say, growing crops or rearing meat on large tracts of land. Since the production of future foods is a new and emerging industry, it’s also more likely to be receptive to these major shifts towards sustainability. “We show that the environmental benefits of future foods are associated with high nutrient-use efficiencies, use of green technologies and the use of leftover streams,” the researchers write. Overall, they show that these foods stack up as a better nutritional and environmental choice than plant-based diets, as we move towards replacing meat with alternative foods. But realising that is only half the battle. The rest will be convincing people to start enjoying lab-grown burgers with a side of seaweed and crickets. Source: Parodi et. al. “The potential of future foods for sustainable and healthy diets.” Nature Sustainability. 2018.